Young professionals struggling to find their first home may have an easier time with West Melbourne’s newest apartment project. The project, called Volaire and belonging to national developer Cbus Property, is located at 9 Dryburgh Street and features 154 spacious apartments on an island site next door to North Melbourne Train Station. Melbourne’s Latest Tower Volaire Hits Market]. The area is much like New York’s hipster suburb of Brooklyn 10 years ago, poised for rapid transformation into a Fitzroy-style spin off. 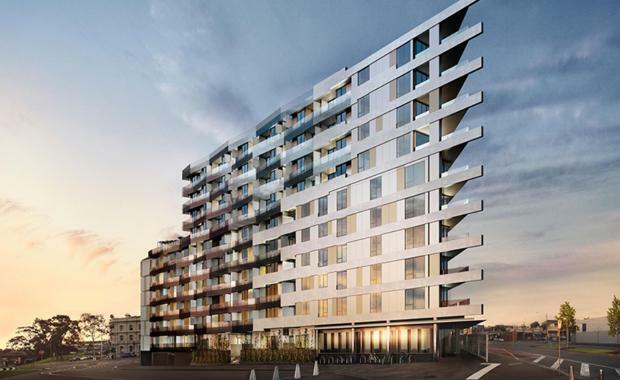 Cbus Property’s intention for their apartment project is to respond to the growing young professional and discerning first homebuyer market outside of the downsizer sector, with more than 60 per cent of the building featuring expansive two bedroom apartments, many with two bathrooms. Cbus Property Chief Executive Officer Adrian Pozzo said its current development strategy in Melbourne specifically targeted the Gen X and Y market segment as a major growth opportunity, following the sell-out success of Assembly in North Melbourne. “The Gen X & Y market has probably had the toughest time when it comes to securing their first property. “They haven’t benefited from the price growth their parents have, rather, this has made purchasing a home even harder,” he said. “A big portion of the 30-something and 40-something market is therefore changing their housing expectations and targeting generous, well-designed quality apartments they can call a home. The Hayball designed building, spanning 10 levels, is triangular in response to its unique location and features a 350 square metre outdoor entertaining area for residents. 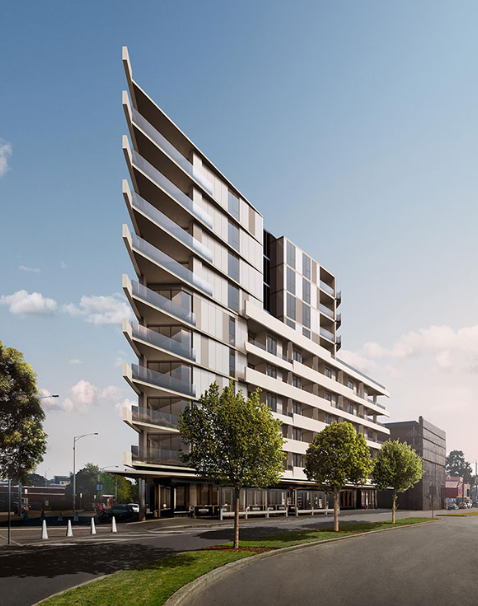 The building’s angular expression pays tribute to the industrial past of West Melbourne and is emphasised by strong horizontal articulation and vertical cuts to create a light footprint on the street. Just one train stop into the city, West Melbourne has been relatively overlooked in recent years, yet is fast catching the eye of developers and local buyers alike. “The market will see more of these style of projects, as the rest of the development community realises the Gen X & Y market has long been underserved,” Mr Pozzo said. “Until then, West Melbourne is a savvy place to purchase, being the last fringe CBD suburb to be gentrified.